Often Pro Tools crashes because of bad plug-ins - either plug-ins that are out of date or because they have a bug. If you have an unstable Pro Tools system then here are 3 ways to find bad Pro Tools plug-ins. One way to try and identify a plug-in that stops Pro Tools from booting is to watch the progress as it loads each plug-in. As Pro Tools boots it first scans your plug-in folder to see what to load and then it moves to load each plug-in, if a plug-in has an issue then Pro Tools may crash before it can start-up. If this occurs then you can simply watch Pro Tools and see when it crashes during this process (see image above). If it happens at the same point in the process every time then it is likely to be the plug-n that shows when it crashes or the plug-in immediately after that one in the list. Then look in your plug-in folder (see below) and pull the possible culprits out (don’t delete them simply move them) to prevent them loading. Then relaunch Pro Tools and see what happens, if it loads without issue then you’ve found the bad plug-in. Then it’s worth checking to see if you have the latest version by visiting the vendor’s website, if your plug-in is up to date then it may have a bug so email any crash reports to the vendor. Alternatively you can use PluginUpdate, which is a free app from Kasrog that will scan your plugin folder and compare it against a database in the cloud. One small tip, don’t send the email with a title like ‘Your crap plug-in has trashed my computer’ you won’t win any friends and you certainly won’t get it fixed any quicker, it may not be their plug-in, but if it is then finding software bugs is not an easy task. File locations were changed in Pro Tools 11 - check out Mike's article. If your Pro Tools system was stable and then it starts crashing then it may well be down to the last plug-in you installed, this can be for various reasons. If after checking your preferences and the version number, it still crashes Pro Tools then you may need to report the bug to the vendor. Pro Tools Prefs for Mac can help with some of the tasks outlined above. Trasher for Windows can help Windows users with some of the tasks outlined above. Bad plug-ins are a good place to start looking if you have an unstable Pro Tools system, more often than not it’s where I find the problem. 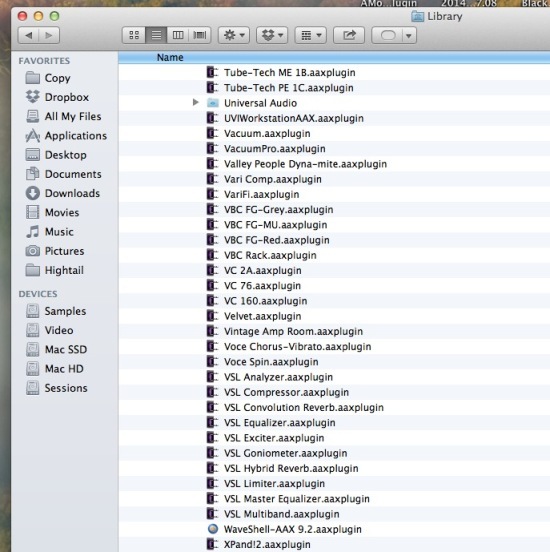 One final word of advice is to make sure you only keep the plug-ins you really use in your plug-in folder.